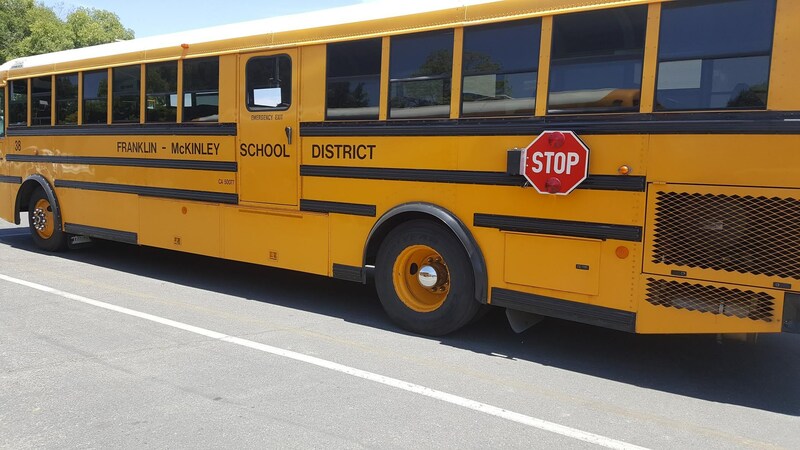 The mission of the Franklin-McKinley School District Transportation Department is to provide safe, reliable, and cost-effective services for students. The Transportation Services Department provides school bus transportation for students in Special Education, limited home-to-school students, and field trips. The fleet is composed of more than twenty-five (25) District-owned buses. To find out if your child qualifies for transportation services, please contact the Transportation Services Department at (408) 283-6080. The Transportation Department phone line is available from 6:00 a.m. - 4:00 p.m. during regular school days. In case of an emergency after hours, please contact the Student Wellness and Support Services at (408) 283-6092. For Out- of- State trips, a form needs to be submitted along with the Field Trip request. It can be sent via Pony or e-mail to the State and Federal Department. Out of State Travel Pre-Approval Form. If you are a community-based organization or local school outside of the District and would like to request school bus services, please Click Here. Please Note: Deadline to submit Field Trip Requests is on March 1st of each school year. This includes field trip requests from March 1st to June 30th.